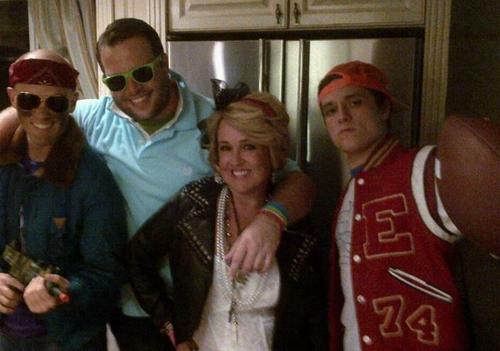 Josh with his family. . Wallpaper and background images in the josh hutcherson club tagged: the hunger games peeta mellark photo josh hutcherson actor hutcherson josh tumblr personal photos. This josh hutcherson photo contains atlantic herring, clupea harengus harengus, herring atlantik, herring, clupea harangus, pacific sarden, sardinop caerulea, and sardinops caerulea. There might also be mencium, cakalang, tuna cakalang, euthynnus pelamis, ikan pelamis, tuna, ikan tongkol, and tongkol.